Welcome to Gratitude Yoga! Gratitude Yoga offers yoga and yoga-fusion based classes. Gratitude’s classes support the entire client spectrum from first time students to experienced yogis. All are welcome! Bring your mat and meet new people in the Chicago community by taking yoga classes at the All About Dance studio located between Old Town and Lincoln Park! Who else is jumping for joy?! 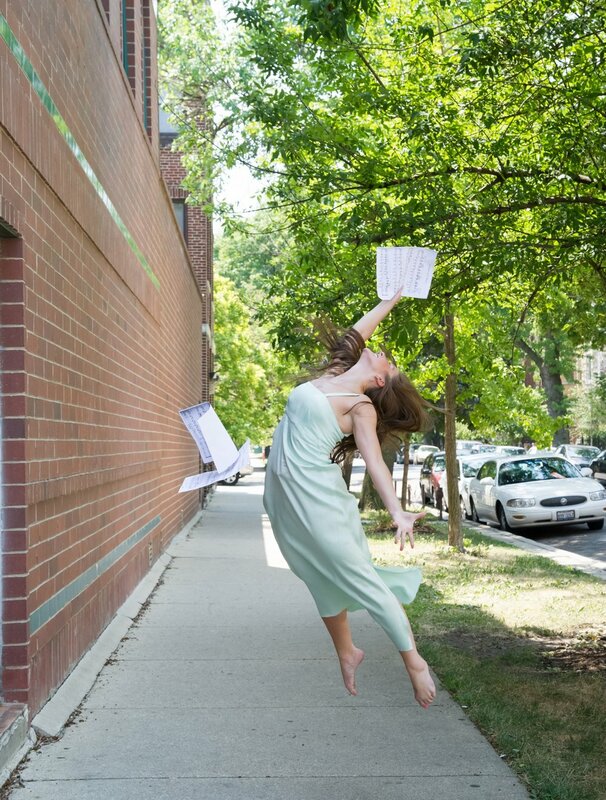 Maybe it's because I get to marry my preschool soulmate, perhaps it's from all the #joblove, possibly the chicago summer has something to do with it, but all I want to do lately is jump for joy! This week on the blog I will be sharing with you ways to get your good vibrations pumping, off the mat. 1 – the emotion evoked by well-being, success, or good fortune or by the prospect of possessing what one desires. Delight. The expression or exhibition of such emotion : gaiety. 3 – a source or cause of delight. How often do you feel complete joy? Do you crave feeling joyous? What is holding you back from attracting more joy in your life? Why jumping? Jumping is up lifting (literally). You use your own energy, strength and determination to jump. Jumping is a metaphor for life and a symbol for expressing and sharing joy. Jumping is celebration. Jumping is fun. Jumping is silly. Jumping is freeing. Jumping is energizing. Jumping is good for your health, soul and spirit. Jumping gets your blood pumping and gives you an adrenaline rush. It is a unique expression of who you are. Jumping for joy celebrates all that is good and positive in the world. Try it, I dare you. Museum Junkie. Chicago is filled with museums and offers free admission certain days of the week. I instantly feel inspired, renewed and joyful the moment I walk into a museum. Explore art, animals, science, planets...whatever you are interested in. Food Envy. When was the last time you tasted something out of this world that made your taste buds turned on? Sometimes we savor in the cooking, but most of the time I relish in the tasting. I think you should treat yourself to at least one amazing meal a week. This could be something you prepare at home, or maybe you splurge and try a new Chicago restaurant to wine and dine. Most importantly, this meal should be unplugged, uninterrupted and uncensored. Some products I have been using that give me an extra boost throughout the day!